Jars don't have to be glass. You can make some amazing paper jars for all sorts of occasions. 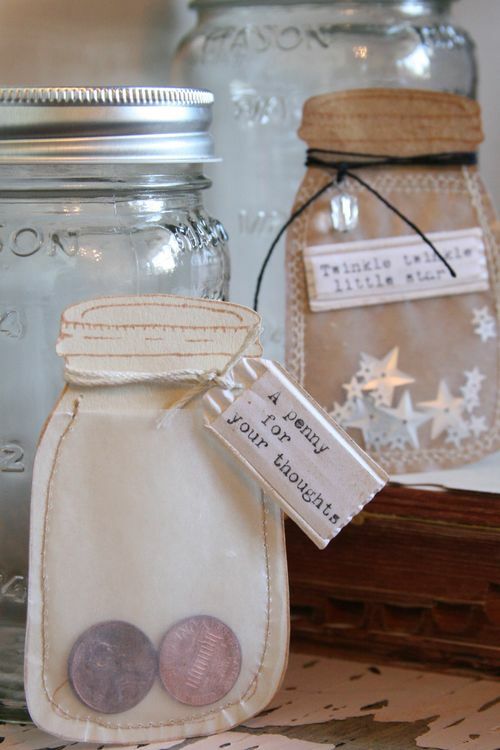 This penny for your thoughts jar had me from the first time I spied it on Pinterest. A super simple idea yet so darn charming for anyone that you give this to. Click here to see how to make your own version or that twinkle twinkle little star one you can see in the background.